Data being the most valuable thing in the digital world needs protection from any kind of system crash. Retrieving data from the hard drive is the only means to rescue your value info from being lost and for this; you need the software that can help you recover every thing. 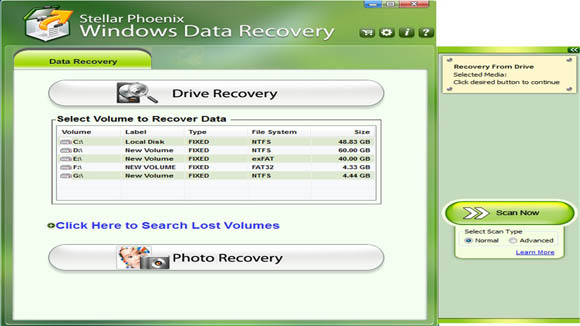 Stellar Phoenix Windows Data Recovery Home 6 is one such software that can help you recover all the data no matter what happened to your system. Recuva is one of recommend alternative to Stellar which has the almost all the similar features of Stellar Home V6. It can also recover almost all multimedia files and works on almost all platforms no matter how much damaged the storage media is. The most attractive feature of Recuva is that it is a freeware. The quick start wizard, deep scan, portable version and the support for almost all version of windows OS with 37+ language support makes this software a favorite among many tech geeks. However, it fails to include some important features offered by the Stellar Phoenix Windows Data Recovery Home 6. Stellar has made everything very simple, yet powerful. The menus and options are too simple, but at the same time provide spacious menus. The menus are spacious enough to give the users more space, when compared to the rivals, to select results and images of previous scans so that you can continue recovery efforts after closing or even suspending the program. Main Menu: Stellar has tried their level best to make the home screen as simple as possible. 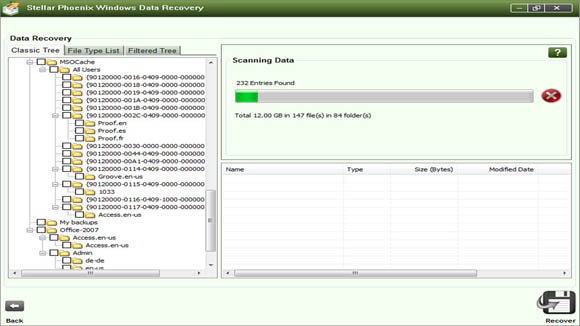 Clicking the drive recovery will display all volumes of the drives and this enables you to select between the two available scanning modes - Normal or Advanced. Scanning Process: If you click on the Scan now option, the scanning begins. The status of the scan is shown on the top-right pane of the progress bar. While scanning is in progress, the software prepares a tree-structured list of recoverable files in the left pane. After Scan: As soon as the scan is over, all the recoverable files and folders in the selected volume are displayed in the three tabs in the left pane. Preview: To get a preview, first select the folder in the left pane to list all files and then click the file to display its preview in the main interface. 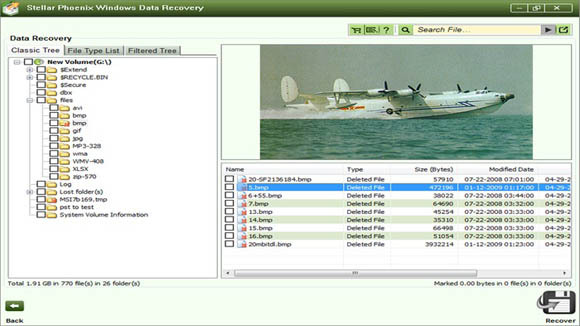 Select Destination: Select the desired files and folders for recovery and click 'Recover'. 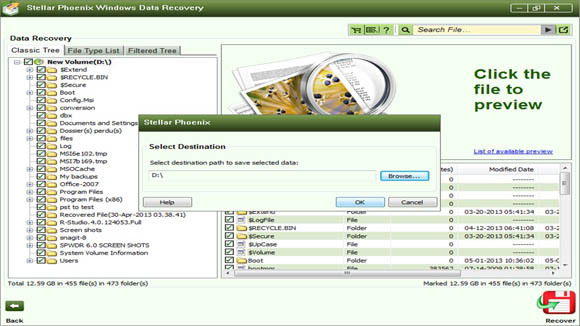 This opens up the Select Destination dialog, browse for a desired location to save the recovered data and click 'OK'. The Windows version is divided into three - Home, Professional, and Technician. 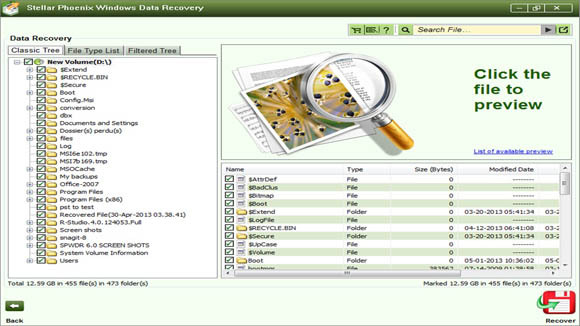 The home version bags up almost all the features required by an individual user, which include an intuitive user interface, support for large drives, enhanced file tree view, auto detection of removal disk, improved �find� option, photo recovery module, sophisticated scan, deleted file recovery and superior engine for exFAT, NTFS, FAT. Normal and advanced are the two available scanning options. Normal scan is quick and can get you whatever you have lost in a few seconds after the launch. The advanced scan is deep scan, which will help you to get harder-to-recover items. You can also use this option to search for any logical volume lose or deletion that has occurred due to fault in the drive partitioning or inefficient/faulty disk management. The user can switch to advanced mode anytime. Stellar allows the user to sort out files in different ways - Classic List, File List, and Masked List. This makes it easy for the users to view and select the files or folders.